Quality hair care can make any hairstyle look great. There are some days you just don’t want to spend a lot of time on your hair, but you still want to look good. This often happens during the cold winter months when all you want to do is snuggle with a blanket in front of the fire. 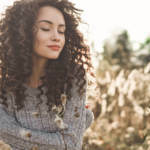 While quality hair care with a great sulfate free shampoo is necessary to keep your hair healthy and beautiful, despite the dry winter air, the following hairstyles can be the perfect solution to your problem. While a traditional braid can be a fast, easy hairstyle, sometimes you want something a little different without a lot more work. Separate a section of hair from each side of your head and pull them toward the back, twisting them into a loose braid. After securing the bottom of the braid, use your fingers to gently loosen it to exaggerate the edges. 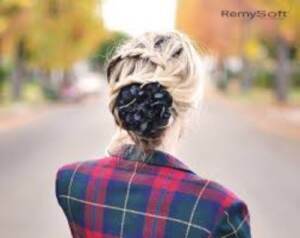 Wrap the braid around its own base, tuck the end in and secure it with a bobby pin to create a round flower shape. A great sulfate free shampoo keeps your curls beautiful. Curling your hair can be a time consuming task if you curl small sections of your hair separately. However, there are ways to create easier curls for a similar effect without all of the work. Pull your hair into a high ponytail on top of your head. Use a one-inch curling wand and wrap the entire ponytail around it for a maximum of 10 seconds. Take down the ponytail and gently separate the curls for a fuller look. Tired of the same simple ponytail? As long as you are using quality hair products for remy hair, you can protect your locks despite the fact you will be tying them together. Separate your hair into two equal sections at the back of your head, cross them over and tie them into a knot. Repeat this process, crossing the strands over in the opposite direction. Secure the ponytail with a hair tie located underneath the knot and wrap a small section of hair around it to hide it from view. 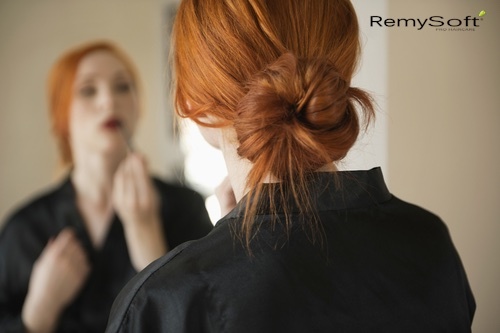 Hair products for remy hair allow you to create a simple bun. For most people, the idea of creating a sophisticated bun can be overwhelming. However, you can enjoy this beautiful hairstyle without putting in a lot of work. Pull your hair into a ponytail at the back center of your head and twist the hair tightly. Wrap the twisted hair around the base of the ponytail and secure it with a large hair pin inserted near the back of the bun. It won’t have the polished, finished look, but it will achieve the look you want. 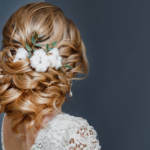 When you don’t feel like spending a lot of time on your hair, but you want to do something special, these are some easy options you can try. As long as you are using hair products for remy hair as part of your quality hair care routine, your hair will look amazing, even if you don’t put a lot of time into styling it. If you’re looking for the perfect way to keep your hair healthy this winter, contact us. 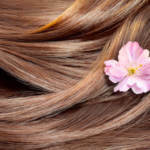 We carry a full line of products, including a great sulfate free shampoo, to provide the best care for your hair. Hitting the Gym Harder This Month? Keep Your Hair Cute!